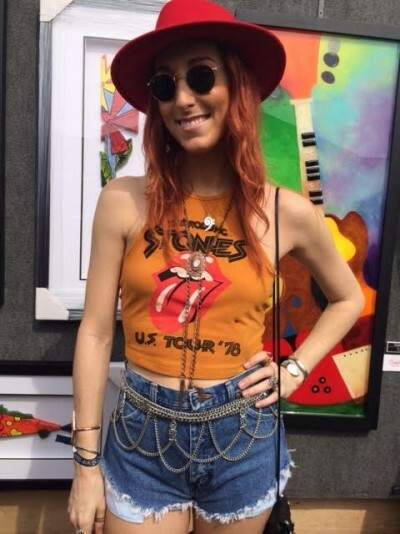 Jazz Fest style: It’s not just tie-dyes and Crocs, silly hats, and the latest Coachella-inspired accessory: weather-inappropriate floral wreathes. 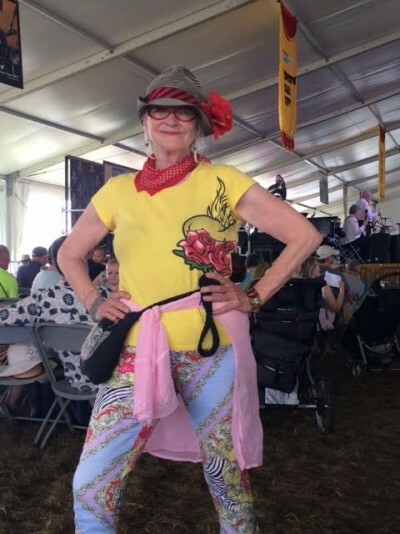 The Fest’s “Do whatcha wanna” creed also inspires Fairgrounds fashionistas to raise to the occasion with panache, while always preparing for the anything-can-happen weather that is coastal Louisiana. Indeed, some of the best shots I got came after the rains hit on Day 2, and people started to do what true Festers do best: improvise. 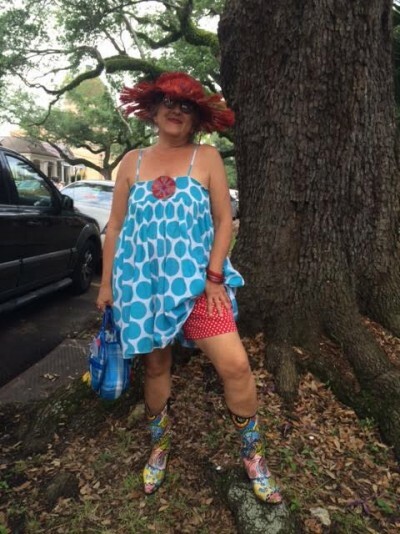 When Kate moved to New Orleans from Seattle in 1996, she packed along her “best friend” and mannequin Greta. 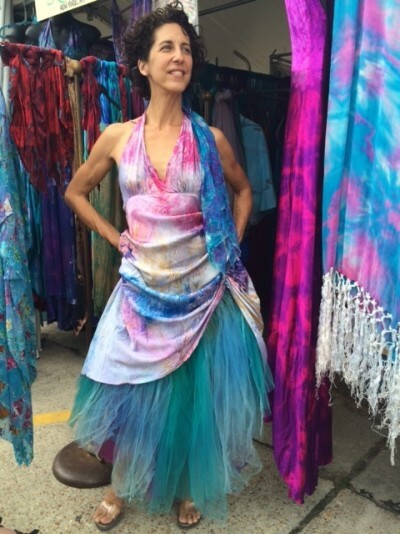 For 19 years, she’s showcased her exquisite hand-crafted designs at Jazz Fest, where devotees buy a new piece every year. Larry & Piper have made four pilgrimages to Jazz Fest. Larry scored the floral porkpie — “the first hat that ever stuck” — at his very first Fest in 2008. Piper’s equally attached to her summer fedora, which tops a perennially cool, classic look. Fest buddies Mabel & Lukas renewed their friendship at Jazz Fest #2 this year. A little rain didn’t dampen the fun for Teva and Giovanni, who’ve celebrated Teva’s birthday at the Fairgrounds for 16 years. 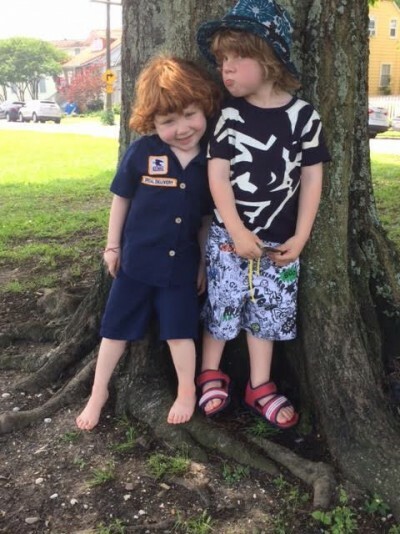 It’s a great place for Teva to score big with another New Orleans tradition: pinning money on the birthday celebrant. Elizabeth and Gary haven’t missed a single Jazz Fest since they moved to New Orleans from New York in 2005. Gary’s ironclad rule? 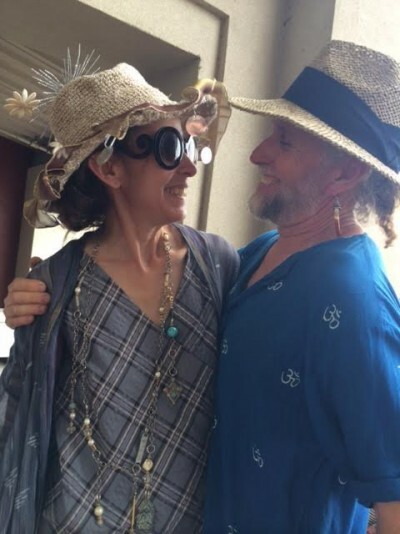 “Always a sarong, and a nutria tooth earring.” Elizabeth has her own fashion formula: Always a hat, usually involving Christmas ornaments. It’s a great way to recycle them. I spotted Momo Soho’s gorgeous hand-dyed creations on the first day of Fest, and was especially drawn to this gown, with its Mardi Gras-like underskirt of tulle. My friend Val, a New Orleans native who spent many years in New York, was delighted to bring it to life by modeling it at the Fairgrounds. Momo Soho’s Michael Lubin, the first designer ever to hand-dye vintage silk slips, supplied Val’s Cinderella-style slippers. 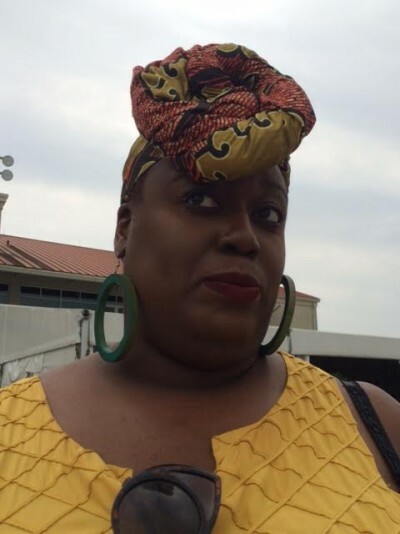 I first came to Jazz Fest in 1988, when I lived in New York City. I continued to make the annual pilgrimage for many years, and finally went native in 2001, when I started attending as a local. I like to jazz things up with a harder edge, like the David Bowie pin on my fedora and my black combat boots, which work great in mud.